Small businesses and bloggers deserve to document living as much as families do. 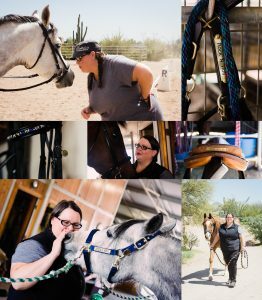 Heather is the owner of Dynamite Riding Academy in Scottsdale, Arizona. I love working with her because she truly cares for her riders and horses. She has found her passion and gives her clients her all. Heather is connected to her clients and I wanted to show that through authentic, documentary images. Running a business can be hard and expensive but rewarding. There is nothing quite like seeing your customers and clients happy. You and you’re business have a story to tell. You are not just your product or service. Your personality shines through your business. Don’t let it dull with non-professional photos. I want to show your why. I want to tell your story. Document Living sessions for businesses and bloggers are structured a little differently than a family session and for good reasons! Businesses, although they may feel like your family, are different. They are your blood, sweat, and tears. You pour your heart into them and you deserve the best. The images are going to be the same but your usage will be different than a family’s needs. You will want to use your images in advertisements. 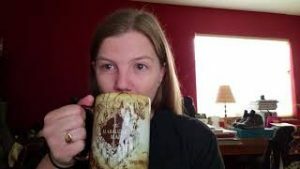 Or maybe a headshot for Linked.In or other business functions. Depending on your business, there are tons of options for images. Some possibilities include behind the scenes (who doesn’t love seeing how the magic happens), product shots, and customer/client interaction. Instead of stock images, you could use personal, emotional images in your marketing to really connect and attract your customers. You can get images of your employees in action and the small details that make your business unique. People will start to feel like they know you and your employees. They will start to trust you before they even step foot in your business! I want to work with you. I am willing to work within your budget to design a plan that works for you and your business. I know how much your small business means to you. Depending on your budget you will receive digital images sized for social media and/or print size for advertising. If you have office space and need a physical product we can work that out as well! You will also receive a commercial license to use the images. We would have an in-person consult and go over your needs, wants and budgets and figure out what will work for you. What would you want photos of to represent your business? Interested in a quote? Contact me today. We will work together to get professional images for your business or blog.